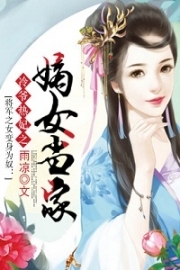 You’re reading novel King of Gods Chapter 472 - Elder Bai’S Worry online at LightNovelFree.com. Please use the follow button to get notification about the latest chapter next time when you visit LightNovelFree.com. Use F11 button to read novel in full-screen(PC only). Drop by anytime you want to read free – fast – latest novel. It’s great if you could leave a comment, share your opinion about the new chapters, new novel with others on the internet. We’ll do our best to bring you the finest, latest novel everyday. Enjoy! In the air, Zhao Feng and Cang Yuyue’s short clash was only understood by those at the True Spirit Realm. Elder Bai’s eyes were full of shock and her expression was solemn. Cang Yuyue’s sword intent kept on rising and her will became stronger. A ripple that could be seen with the naked eye started to form from the tattered sword. It hummed with a sound that shook the soul. A crus.h.i.+ng sword intent formed that brought immense pressure to the mental energy dimension, and it shook the hearts of others at the True Spirit Realm. Old Su and True Lord Tiexiao started to concentrate. The distance between them was quite short, so they could feel how strong the sword intent was. It was something they didn’t even want to directly look at. Cang Yuyue’s ancient sword started to tremble, and a bright cold light started to radiate from it as it spat out a piercing beam that released a cold killing intent. Everyone’s gazes were attracted to the ancient sword. It probably had a deep history behind it. In just a few breaths, the aura from the tattered sword had doubled, and even tripled, as an unknown power seemed to awaken from it. Cang Yuyue’s hair blew as the s.h.i.+ning cold beam seemed to merge with her body. Waves of sword lights flashed through the air and made the sun and moon lose their color. These piercing sword beams were half-transparent, and they destroyed everything in their path. The clouds and mountains would shatter wherever these sword beams went. Holes would form that were so deep, one couldn’t even see the end. The Broken Moon Clan broke out into chaos. Many spectators were trembling in fear in front of this attack. It seemed as if thousands upon thousands of sword beams were starting a fearsome slaughter. The killing intent of these sword beams alone could make those under the True Lord Rank lose the power to resist. True Lord Tiexiao, Old Su, and Lin Tong all retreated as they tried to dissolve the power. b.l.o.o.d.y marks were left on Lin Tong’s body and he couldn’t help but scream. Zhao Feng’s expression moved, and his casualness disappeared. The power in Cang Yuyue’s tattered sword even made the Ice Imperial Spear sense something. Cang Yuyue’s move was a wide-ranged attack that had no pattern whatsoever and couldn’t be dodged. A wave of lightning appeared in front of Zhao Feng and began to rotate quickly. Sparks flew everywhere as the sword beams were blocked, but there were a few powerful sharp sword beams that slashed straight toward Zhao Feng. Zhao Feng’s figure disappeared amidst wind and lightning. However, Cang Yuyue’s comprehension of the sword exceeded his expectations. Several bright sword beams locked onto him the second he reappeared. Zhao Feng revealed a surprised expression. With a roar, he sent a ripple of wind and lightning that destroyed everything within a twenty-yard radius. It was obvious Cang Yuyue’s strength had exceeded Zhao Feng’s expectations. He was forced to use the strength of a True Lord Rank. Elder Bai’s face was full of praise and admiration. An invisible barrier blocked the sword beam waves that came near her. Of the spectators, only Elder Bai could watch easily. Compared with her, the other two True Lord Ranks, Old Su and True Lord Tiexiao, were panicking. Zhao Feng was happy instead of being shocked as he started to flash around the area. A layer of azure wind surrounded him and it sent out arcs of lightning that destroyed the sword beams near him. Zhao Feng focused on movement. He was as agile as the wind while also occasionally as fast as lightning. He would occasionally counterattack with lightning-quick speed and power. A ball of wind and lightning formed on Zhao Feng’s palm as he created gusts of howling wind and rain across a one-mile radius. The entire area was enveloped by dark clouds and lightning. This skill had exceeded normal techniques and had used the essence of the Heaven Earth Yuan Qi to the maximum. Cang Yuyue’s expression changed as she was forced back by the storm of wind and lightning. She used another inheritance sword technique and created some sword-winds. Cang Yuyue’s breathing rate quickened as the power of the awakening in her inheritance sword merged with her sword intent, allowing her to use twice as much power than she usually could. However, although she had power incomparable to before, it still couldn’t stop the enemy in front of her. Zhao Feng had comprehended the inheritance of the Wind Lightning Emperor, and every action of his caused normal True Lord Ranks to be wary. A streak of blood leaked from Cang Yuyue’s mouth as her face went white. A wind blew over Cang Yuyue that numbed her body. Zhao Feng’s hand slowly pressed toward Cang Yuyue’s shoulder. Cang Yuyue had used powerful moves consecutively and over half of her Yuan Qi had been expended, whereas Zhao Feng was still full of energy. This was the difference between the True Lord Rank and True Mystic Rank. A soul-trembling sword intent rose from Cang Yuyue and it seemed to turn light into darkness. It was as if she was h.e.l.lbent on winning, even if it meant to turn the Heaven and Earth around. Without even turning her head, the tattered ancient sword in her hand flashed toward Zhao Feng in a beautiful arc. Everyone’s expression changed watching this scene. Elder Bai’s face turned to happiness. She was hoping that this sword could kill Zhao Feng. On the other side, Tiexiao and Old Su were stunned. Without a doubt, Cang Yuyue’s sword intent and power had reached the peak of the Sword Dao. Even these two True Lord Ranks felt helpless against this move. A ripple of mesmerizing water blocked this fearsome sword. This ripple of water seemed to contain a softness that couldn’t be described. Two breaths later, over ninety percent of the beautiful sword beam had faded. Only a small light managed to pa.s.s through the ripple. Zhao Feng reached out and touched the small wound on his skin. Surprise was written all over his face. He had underestimated his opponent. Furthermore, Cang Yuyue’s last sword was unexpected, and the power it contained was enough to slay a normal True Lord Rank. However, this small wound quickly healed with the help of his bloodline power. Cang Yuyue smiled bitterly as she fainted. Her strongest attack was enough to kill more than half of the True Lord Ranks out there, but it barely nicked Zhao Feng. With a flash of white light, Elder Bai grabbed ahold of Cang Yuyue. Old Su, First Elder, and company all let out a breath. Although that last sword was terrifying and fearsome, they were more in admiration of Zhao Feng’s strength. In front of that move, Zhao Feng was still able to react, and he even had a powerful defense as well as healing capabilities. Elder Bai’s eyes flashed as she stared at Zhao Feng for a while. Zhao Feng felt a faint killing intent and danger, but he didn’t show any signs of retreat. A while later, Elder Bai looked deeply toward Zhao Feng and left. She only had a sixty percent chance of killing him. Elder Bai felt it was too troublesome. She could find almost no flaws from Zhao Feng and felt her head hurt. Furthermore, there were two other True Lord Ranks here and the Iron Blood Religion wasn’t simple. It was best not to offend them. Such reasons made Elder Bai give up killing Zhao Feng for the time being. 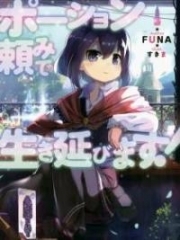 You're reading novel King of Gods Chapter 472 - Elder Bai’S Worry online at LightNovelFree.com. You can use the follow function to bookmark your favorite novel ( Only for registered users ). If you find any errors ( broken links, can't load photos, etc.. ), Please let us know so we can fix it as soon as possible. And when you start a conversation or debate about a certain topic with other people, please do not offend them just because you don't like their opinions. You're reading King of Gods Chapter 472 - Elder Bai’S Worry. This novel has been translated by Updating. Author: Fast Food Resturant,快餐店 already has 7699 views. Current Time is Apr-21-2019 14:54:04 PM.